Remembering Lari Stanton – Comprehensive Development, Inc.
Students from MCNDHS show off their winter wear, donated yearly thanks to Lari Stanton. Earlier this month, CDI lost an important member of our extended family: Lari Stanton. A true entrepreneur, he invented the Isotoner glove and sat at the helm of Aris Isotoner – one of the world’s largest glove companies. After his retirement in 1993 and wanting to give back, he got involved with CDI. Every fall for the past 15 years, huge boxes carrying winter gloves and hats have arrived at Manhattan Comprehensive Night & Day High School for students. Each pair accompanied by a pamphlet outlining his mantra, “Going the Extra Mile” – a philosophy about taking the initiative required for success. The phrase also took life in the form of a scholarship of the same name that he established and is given out annually to graduating students of MCNDHS. 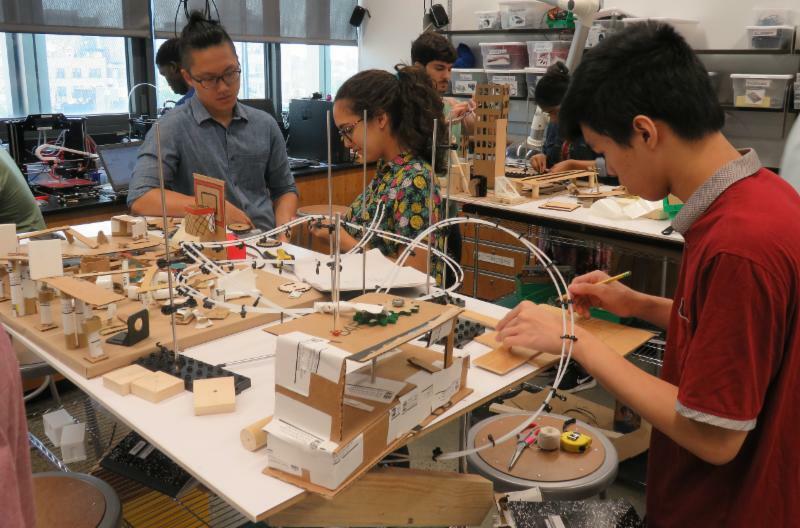 Students work on their Rube Goldberg machine at The Cooper Union over the summer. Most importantly, with his funding for the past 12 years, CDI and MCNDHS have sent students to The Cooper Union’s Summer STEM mechanical engineering program. Here students learn how to make their own Rube Goldberg Machines, or in their Race Car program, how to make an engine more energy efficient and the design more elegant. He also gave out yearly Teacher Recognition Awards to teachers who put in exceptional work over the course of the school year. 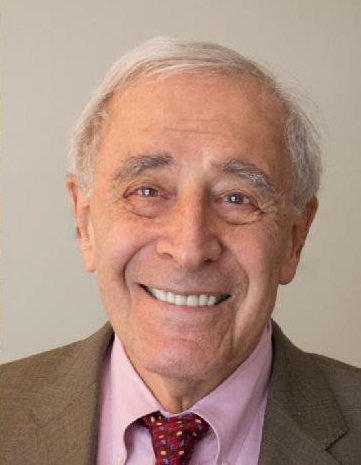 Year in and year out, he was a crucial figure in the lives of both our students and our organization as a whole. Lari is survived by his wife, Barbara. He will be deeply missed by all of us at CDI.